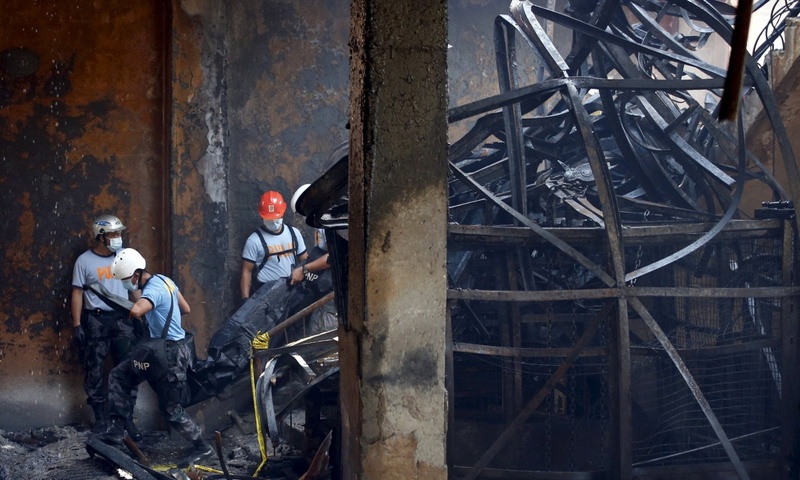 Last week, one of the deadliest industrial fires in Filipino history killed employees trapped in the Kentex Manufacturing Corp. Kentex, which manufactures tsinelas, or rubber flip-flips, is located in Valenzuela, just north of Manila. And while this developing-world factory incident can’t point to Western consumer complicity in the deaths this time (as was the case at Rana Plaza in 2013), I’m just as sickened to hear this news. Perhaps because Manila is the city I most closely associate with the word “home,” or perhaps because I wonder how many tragedies like this one will have to occur before we start doing a better job of protecting our laborers. Perhaps because I wonder how many stories like this consumers will need to hear before we take seriously the way we vote with our dollars for the kinds of businesses we want to support. Perhaps because I wonder how many stories like this our lawmakers will need to hear before legislation is passed and enforced to prevent similar events in the future. Perhaps because I wonder how many stories like this our businesses will have to hear before they decide to do things differently. Because the bottom line is: No one should die to make apparel for others. Ever. Lord, our hearts break at this news from Vilanzuela. Comfort the mourning families that lost loved ones and provide for them financially as well as emotionally. Help us to work toward better factory conditions in the Philippines and Cambodia and Bangladesh and L.A. and all over the globe. Protect the people whose labor you use to clothe us. Grant them dignity and safety and health. Forgive us for our ignorance of the conditions in which they work, and our laziness in finding out where our money goes. Forgive us, and help us to do better. 2 Responses to "Kentex Slipper Factory Fire – Manila, PI"
Sadness for sure but proud of your daughter for the article!